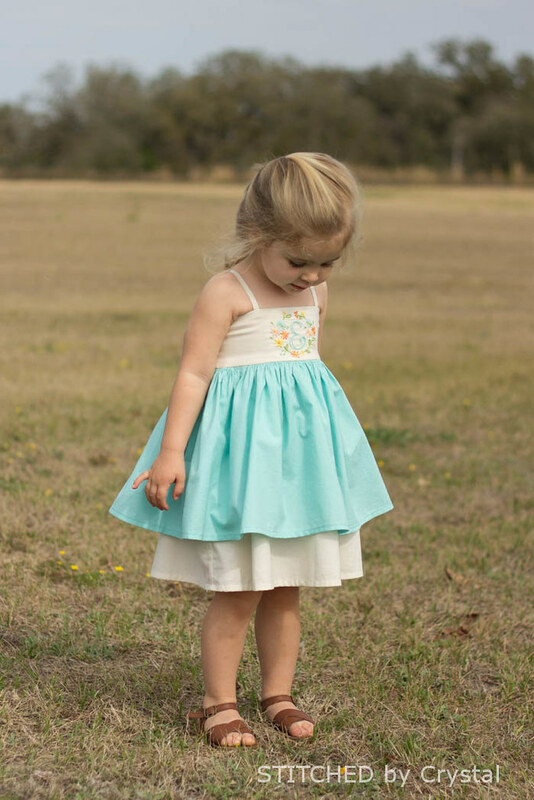 I finished Em's Easter Dress way ahead of time this year! 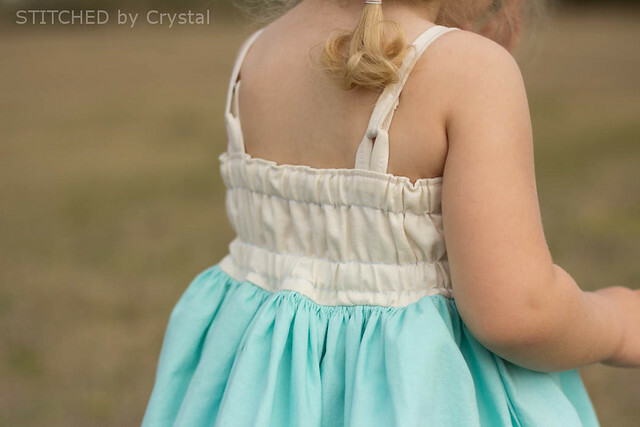 (You can check out last years Easter dress HERE...still one of my favorites! and the year before that HERE) This year, she will be wearing the new Trendsetter dress from Little Lizard King. When I first saw this design I thought it was screaming for some embroidery on the bodice, and I had just the thing. I did this hand embroidery a while ago for a different project and didn't end up using it. 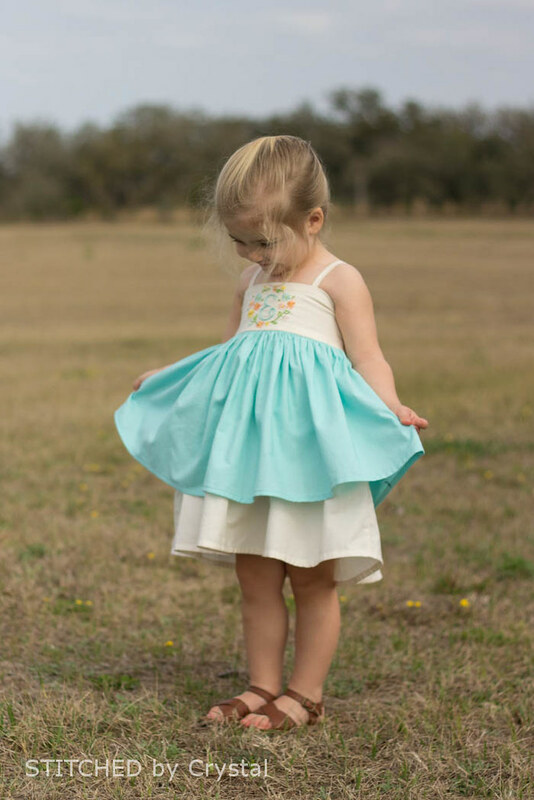 It just happened to be the perfect size for the bodice and in perfect Easter colors...it was meant to be! 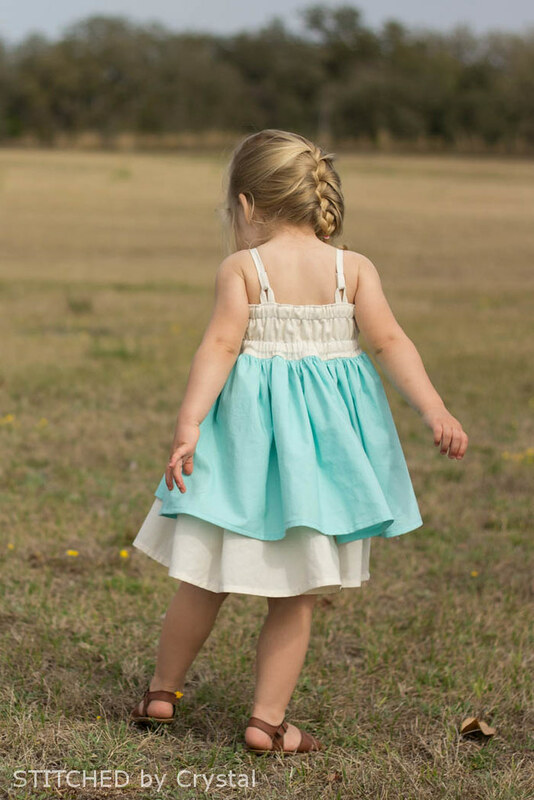 Just like the Perfect 10 shirt Cassie also designed for Little Lizard King, this dress has lots of options! I did a simple version with a double layer skirt. There is also a single layer skirt and options for a fancy dress with fabrics like chiffon, lace, or tulle. And it has a couple of strap options. I did a simple strap, they snaps in the back...or you can do some neat criss cross straps that tie in the back or add a little ruffle to the straps. This PDF pattern has no pieces so no pages to print, you get to save your paper and ink! All of the pieces are rectangular shapes and there are charts in the pattern with cutting dimensions. 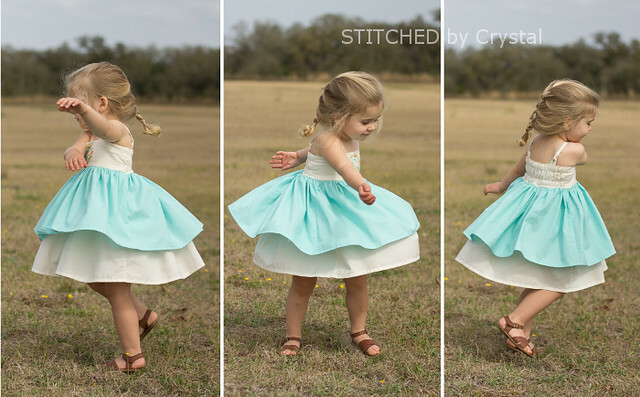 Em was pretty impressed with the twirl factor on that double skirt. 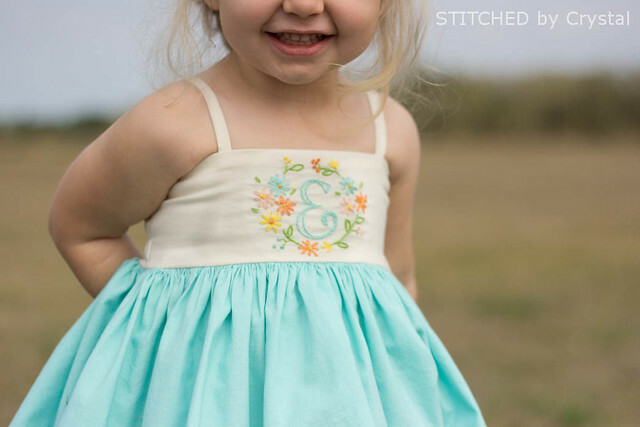 I really don't often sew a pattern more than once, but I have already made two Trendsetters (you can catch a glimpse of the other one in last weeks post). They are so quick and easy! Thanks for stopping by! 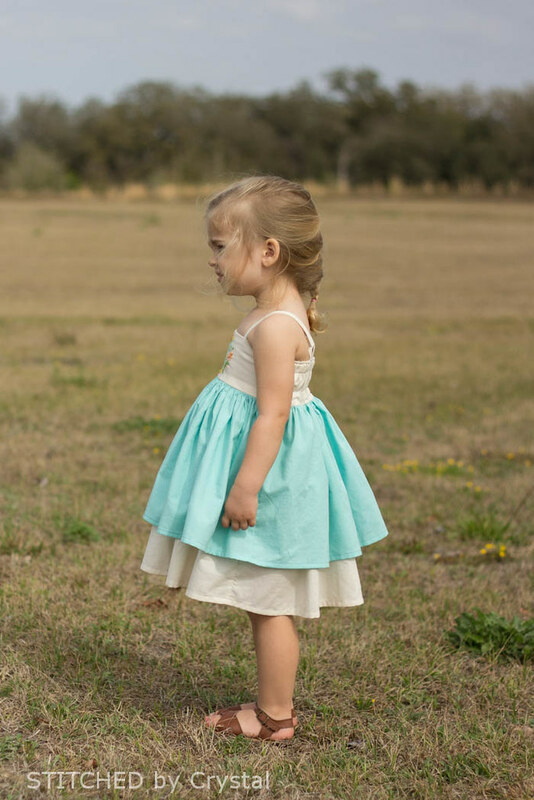 Did you make an Easter dress this year? What did you make? Love this!!! Thank you so much for sharing this fun pattern! 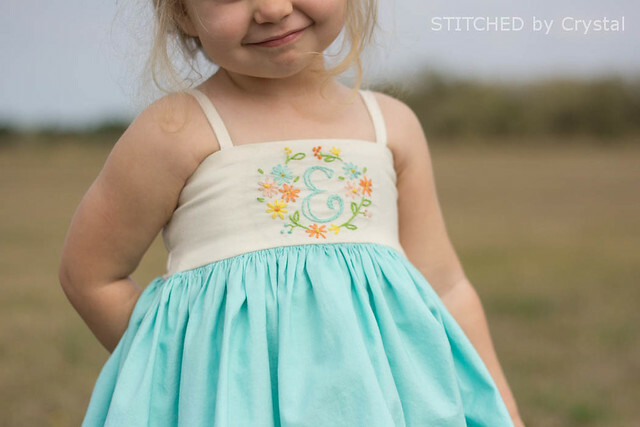 Love the cute little girl, especially that "E" embroidery font!